I haven’t done much talking about winter beauty lately, but that’s going to change over the next couple of weeks. I have been trying lots of new skincare and beauty products that I’ll be sharing soon, but today I wanted to start getting back to beauty with something really fun. And sparkly. I recently tried my first two bottles of Kendra Scott Nail Lacquer and I love it! The colors are inspired by the jewels in Kendra’s collections and there are many rich colors to choose from. 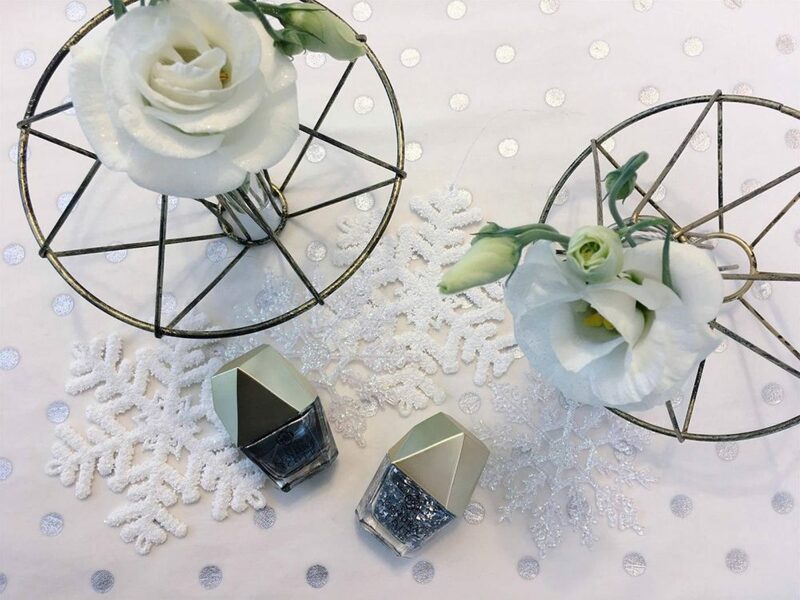 Considering that this is the season of snow and sparkle, I went for a combination of the Gunmetal Nail Lacquer with Silver Leaf Transformative Coat. I paired it with my new Boyd Ring (in one of the newest metals in the collection, hematite), which I love because it’s adjustable and has just the right amount of sparkle for day to night wear. The Kendra Scott nail lacquer also makes a great stocking stuffers (I’m hoping I get the red and the black)! When you buy two bottles you get 15% off them and when you buy three, you get 20% off. So, it’s worth trying a few different combinations – and maybe adding a ring or two! And one more thing! Aside from the colors of the polish being really vibrant and pretty, I found that it dries SUPER fast. As someone who is terrible with smudging my nail polish (maybe I’m just too impatient), this was great to discover and has definitely made me want to pick up a few more! The Kendra Scott polishes look so gorgeous! Love the sparkles! It looks so great with their jewelry! I was so excited when they came out with the nail lacquers a few months ago. They compliment your rings so well! 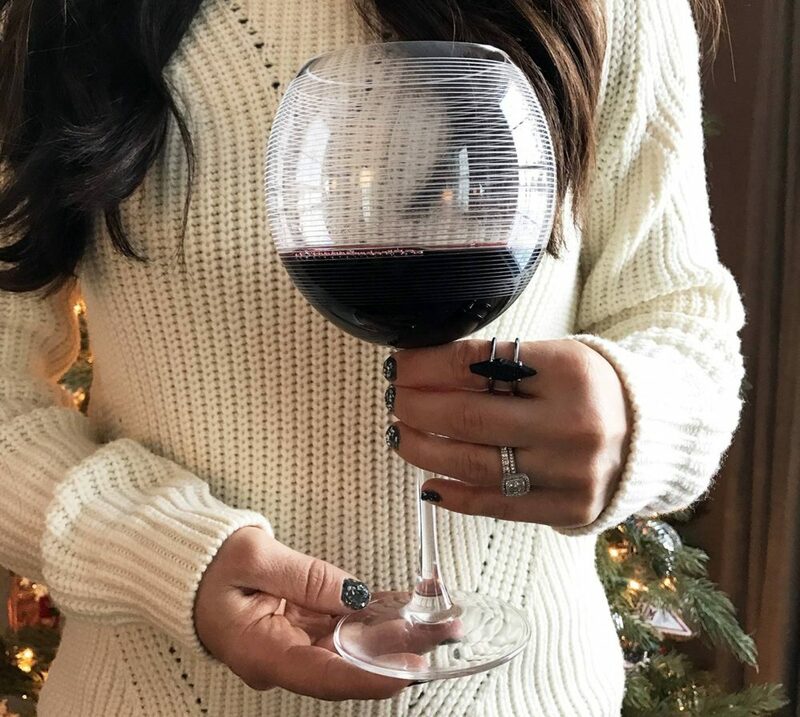 wine, sparkle and cute nails…what more does a girl need? Ohh, those colors are beautiful and totally perfect for the holidays! I love all of these combos! Oh I didn’t even know they came out with these, the colors are gorg! Love the KS nail polish! I love all the pretty combinations, they match perfectly, so cute! Oh I love Kendra Scott!! I really need to try one of these polishes!